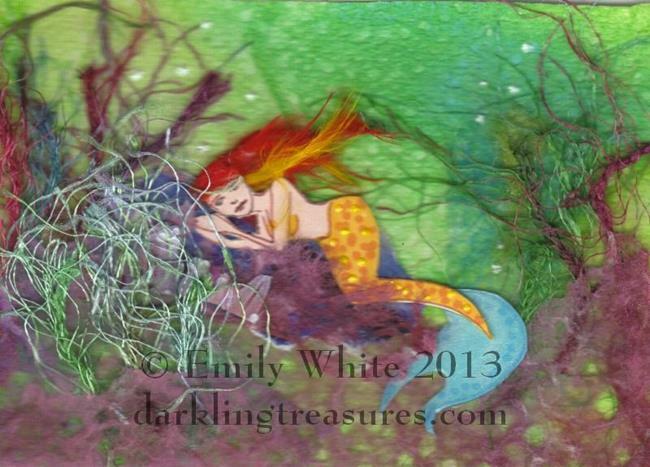 This is an original, one of a kind mermaid mixed media ACEO (3.5" x 2.5"). She was created in archival inks, assorted papers, glue, feathers, ribbon, and fabric paint on bristol. Signed, titled, and dated on the back; watermark is for online display purposes only, and will not appear on the actual art!